Gin drinkers, gather round! You may remember last year we told out all about the Burleighs Express, yes… the Gin Train! Well now it’s back with 3 new dates for 2019. 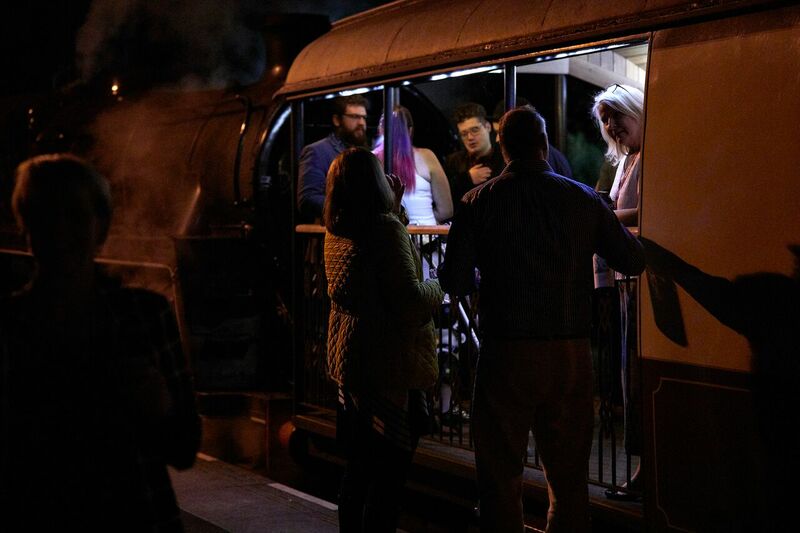 This remains one of the best events we’ve been to in Leicestershire, so if you’re a fan of gin, or indeed just a fan of trains and dinner… read on because you won’t want to miss out. Due to such high popularity, The Great Burleighs Express is returning with three new dates to choose from during 2019. The train will be departing from Loughborough Great Central Railway on the 23rd April, 27th June and 13th December with tickets for all dates on sale now. Did we mention yet that the train has bottomless G&Ts on board for the duration of your journey? Well, it does! 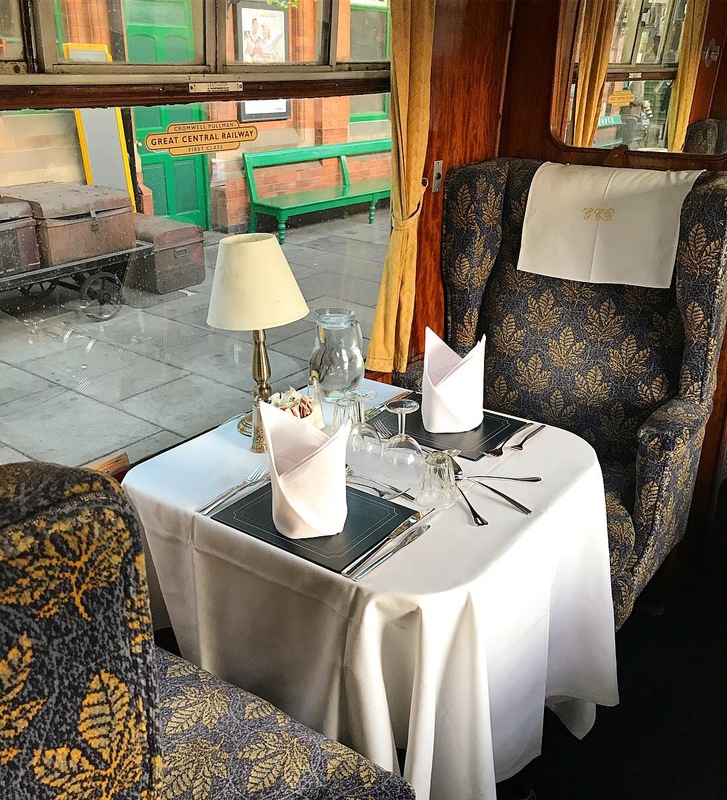 Picture yourself aboard a luxury steam train, enjoying a fine dining experience with specially crafted Burleighs Gin cocktails, live entertainment and jazz band with the backdrop of some of Leicestershire’s most picturesque scenery along the route. This is exactly what you’ll get on the Great Burleighs Express. From canapés and cocktails on the platform, to partying on board, it’s an evening you won’t forget. Everything on board is included from arrival cocktails and canapés, a 4 course fine dining meal, bottle of red or white wine with dinner and bottomless G&Ts throughout the evening. Tickets are sold as packages for 2 or 4 people and are priced at £250 (2 people) and £450 (4 people). The on board tables laid out for dinner. The first train departs for St George’s Day on Tuesday 23 April with tickets selling quickly. Grab your tickets from Burleighs website. Packages are limited and the event is strictly 18+. 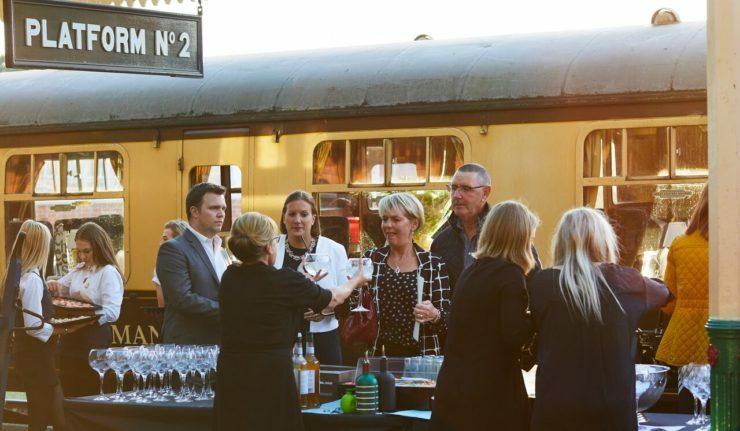 6.30pm : Arrival at Loughborough’s Great Central Railway, the UK’s only double track heritage railway, for a complimentary arrival cocktail and canapés, soundtracked by a live Jazz band. 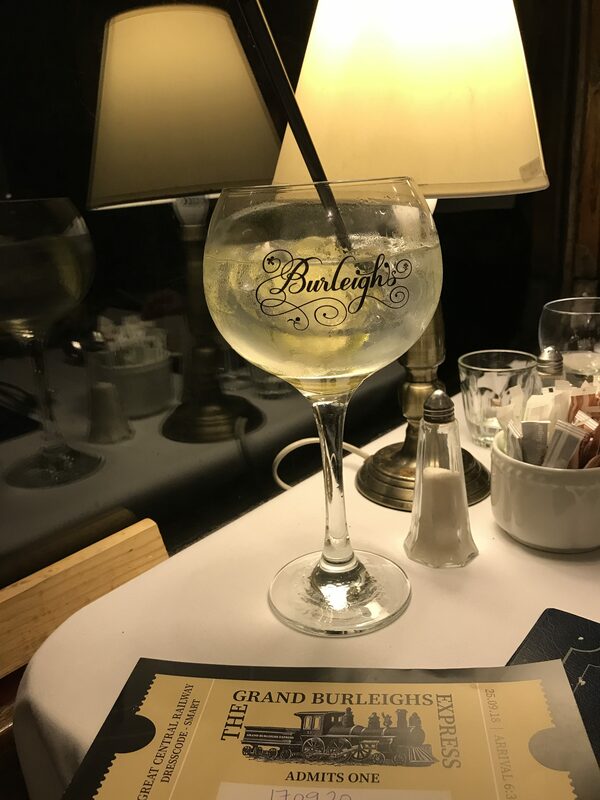 7.00pm: All aboard for departure, sit back with your complimentary Burleighs Gin & Tonic whilst The Grand Burleighs Express ventures full steam ahead towards its first stop for the evening in Swithland. Upon arrival, the scenic views of Swithland Reservoir will provide the back drop for a three course fine dining experience, expertly paired with complimentary wine. 8.30pm: The adventure continues. Enjoy entertainment with a performance from our live Jazz band as we head toward a second stop at Rothley station. 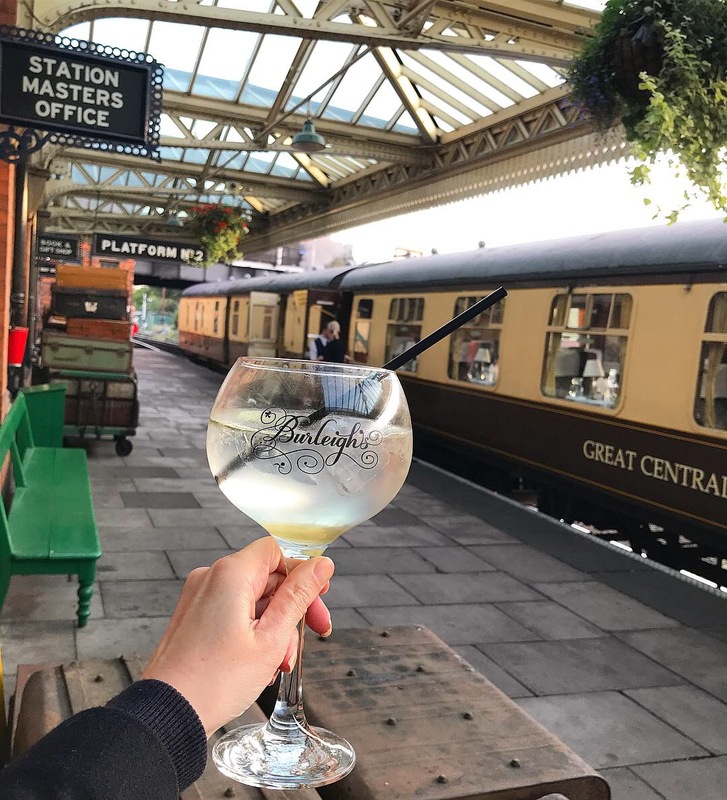 Step back in time as the train rolls into the station and enjoy a Burleighs Gin & Tonic alight the beautifully restored 19th century platform. 9.30: It’s time to board the train and head back to our final destination of Loughborough. Sit back and reminisce over the evening of frivolity with an end of line coffee and mint. 10.15: The evening will come to a close, disembarking at the Great Central Railway. For private dining enquiries please email our Corporate Events Director, Gaynor, at [email protected].